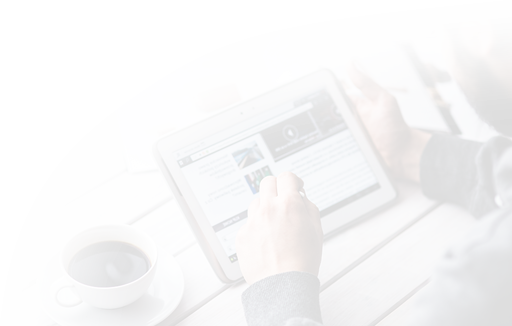 A virtual private network, or VPN, allows you to securely encrypt traffic as it travels through untrusted networks, such as those at the coffee shop, a conference, or an airport. IKEv2, or Internet Key Exchange v2, is a protocol that allows for direct IPSec tunneling between the server and client. In IKEv2 VPN implementations, IPSec provides encryption for the network traffic. IKEv2 is natively supported on some platforms (OS X 10.11+, iOS 9.1+, and Windows 10) with no additional applications necessary, and it handles client hiccups quite smoothly. In this tutorial, you’ll set up an IKEv2 VPN server using StrongSwan on an Ubuntu 18.04 server and connect to it from Windows, macOS, Ubuntu, iOS, and Android clients. First, we’ll install StrongSwan, an open-source IPSec daemon which we’ll configure as our VPN server. We’ll also install the public key infrastructure component so that we can create a certificate authority to provide credentials for our infrastructure. Now that everything’s installed, let’s move on to creating our certificates. Now that we have a directory structure to store everything, we can generate a root key. This will be a 4096-bit RSA key that will be used to sign our root certificate authority. You can change the distinguished name (DN) values to something else to if you would like. The common name here is just the indicator, so it doesn’t have to match anything in your infrastructure. Now that we’ve got our root certificate authority up and running, we can create a certificate that the VPN server will use. We’ll now create a certificate and key for the VPN server. This certificate will allow the client to verify the server’s authenticity using the CA certificate we just generated. In this step, we’ve created a certificate pair that would be used to secure communications between the client and the server. We’ve also signed the certificates with the CA key, so the client will be able to verify the authenticity of the VPN server using the CA certificate. Now that have all of the certificates ready, we’ll move on to configuring the software. charondebug="ike 1, knl 1, cfg 0"
Save and close the file once you’ve verified that you’ve configured things as shown. Now that we’ve configured the VPN parameters, let’s move on to creating an account so our users can connect to the server. We need to tell StrongSwan where to find the private key for our server certificate, so the server will be able to authenticate to clients. We also need to set up a list of users that will be allowed to connect to the VPN. Now that the VPN server has been fully configured with both server options and user credentials, it’s time to move on to configuring the most important part: the firewall. With the StrongSwan configuration complete, we need to configure the firewall to forward and allow VPN traffic through. Change each instance of eth0 in the above configuration to match the interface name you found with ip route. The *nat lines create rules so that the firewall can correctly route and manipulate traffic between the VPN clients and the internet. The *mangle line adjusts the maximum packet segment size to prevent potential issues with certain VPN clients. These lines tell the firewall to forward ESP (Encapsulating Security Payload) traffic so the VPN clients will be able to connect. ESP provides additional security for our VPN packets as they're traversing untrusted networks. When you're finished, save and close the file. First, we'll enable IPv4 packet forwarding. We'll disable Path MTU discovery to prevent packet fragmentation problems. We also won't accept ICMP redirects nor send ICMP redirects to prevent man-in-the-middle attacks. Save the file when you are finished. UFW will apply these changes the next time it starts. You'll be prompted to confirm the process. Type Y to enable UFW again with the new settings. Copy this output to your computer, including the -----BEGIN CERTIFICATE----- and -----END CERTIFICATE----- lines, and save it to a file with a recognizable name, such as ca-cert.pem. Ensure the file you create has the .pem extension. Alternatively, use SFTP to transfer the file to your computer. Once you have the ca-cert.pem file downloaded to your computer, you can set up the connection to the VPN. Press WINDOWS+R to bring up the Run dialog, and enter mmc.exe to launch the Windows Management Console. From the File menu, navigate to Add or Remove Snap-in, select Certificates from the list of available snap-ins, and click Add. We want the VPN to work with any user, so select Computer Account and click Next. We're configuring things on the local computer, so select Local Computer, then click Finish. From the Action menu, select All Tasks and click Import to display the Certificate Import Wizard. Click Next to move past the introduction. On the File to Import screen, press the Browse button and select the certificate file that you've saved. Then click Next. Ensure that the Certificate Store is set to Trusted Root Certification Authorities, and click Next. Click Finish to import the certificate. Launch Control Panel, then navigate to the Network and Sharing Center. Click on Set up a new connection or network, then select Connect to a workplace. Select Use my Internet connection (VPN). Enter the VPN server details. Enter the server's domain name or IP address in the Internet address field, then fill in Destination name with something that describes your VPN connection. Then click Done. Your new VPN connection will be visible under the list of networks. Select the VPN and click Connect. You'll be prompted for your username and password. Type them in, click OK, and you'll be connected. Double-click the certificate file. Keychain Access will pop up with a dialog that says "Keychain Access is trying to modify the system keychain. Enter your password to allow this." Double-click the newly imported VPN certificate. This brings up a small properties window where you can specify the trust levels. Set IP Security (IPSec) to Always Trust and you'll be prompted for your password again. This setting saves automatically after entering the password. Go to System Preferences and choose Network. Click on the small "plus" button on the lower-left of the list of networks. In the popup that appears, Set Interface to VPN, set the VPN Type to IKEv2, and give the connection a name. In the Server and Remote ID field, enter the server's domain name or IP address. Leave the Local ID blank. Click on Authentication Settings, select Username, and enter your username and password you configured for your VPN user. Then click OK. Finally, click on Connect to connect to the VPN. You should now be connected to the VPN. To connect from an Ubuntu machine, you can set up and manage StrongSwan as a service or use a one-off command every time you wish to connect. Instructions are provided for both. Configure your VPN username and password in the /etc/ipsec.secrets file: your_username : EAP "your_password"
Edit the /etc/ipsec.conf file to define your configuration. When prompted, provide the VPN user's password. You should now be connected to the VPN. To disconnect, press CTRL+C and wait for the connection to close. Send yourself an email with the root certificate attached. Open the email on your iOS device and tap on the attached certificate file, then tap Install and enter your passcode. Once it installs, tap Done. Go to Settings, General, VPN and tap Add VPN Configuration. This will bring up the VPN connection configuration screen. Tap on Type and select IKEv2. In the Description field, enter a short name for the VPN connection. This could be anything you like. In the Server and Remote ID field, enter the server's domain name or IP address. The Local ID field can be left blank. Enter your username and password in the Authentication section, then tap Done. Select the VPN connection that you just created, tap the switch on the top of the page, and you'll be connected. Send yourself an email with the CA certificate attached. 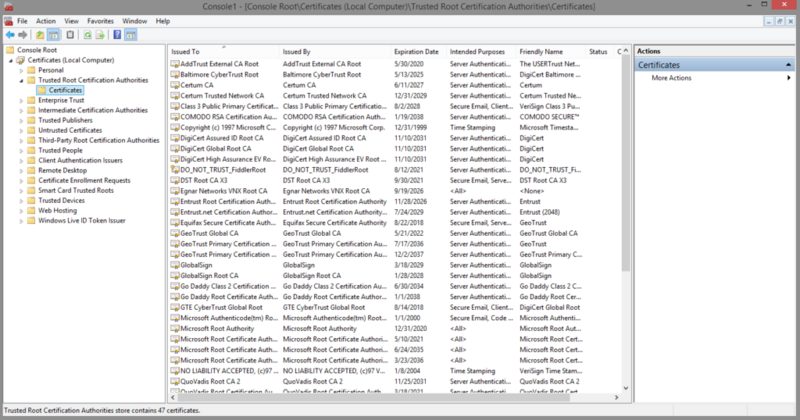 Save the CA certificate to your downloads folder. Download the StrongSwan VPN client from the Play Store. Open the app. Tap the "more" icon in the upper-right corner (the three dots icon) and select CA certificates. Tap the "more" icon in the upper-right corner again. Select Import certificate. Browse to the CA certificate file in your downloads folder and select it to import it into the app. In the app, tap ADD VPN PROFILE at the top. Fill out the Server with your VPN server's domain name or public IP address. Make sure IKEv2 EAP (Username/Password) is selected as the VPN Type. Fill out the Username and Password with the credentials you defined on the server. Deselect Select automatically in the CA certificate section and click Select CA certificate. Tap the IMPORTED tab at the top of the screen and choose the CA you imported (it will be named "VPN root CA" if you didn't change the "DN" earlier). If you'd like, fill out Profile name (optional) with a more descriptive name. When you wish to connect to the VPN, click on profile you just created in the StrongSwan application. If you are unable to import the certificate, ensure the file has the .pem extension, and not .pem.txt. If you're unable to connect to the VPN, check the server name or IP address you used. The server's domain name or IP address must match what you've configured as the common name (CN) while creating the certificate. If they don't match, the VPN connection won't work. If you set up a certificate with the CN of vpn.example.com, you must use vpn.example.com when you enter the VPN server details. Double-check the command you used to generate the certificate, and the values you used when creating your VPN connection. And if you're using an IP address, ensure that the @ symbol is omitted. In this tutorial, you've built a VPN server that uses the IKEv2 protocol. Now you can be assured that your online activities will remain secure wherever you go! To add or remove users, just take a look at Step 5 again. Each line is for one user, so adding or removing users is as simple as editing the file. From here, you might want to look into setting up a log file analyzer, because StrongSwan dumps its logs into syslog. The tutorial How To Install and Use Logwatch Log Analyzer and Reporter on a VPS has more information on setting that up. You might also be interested in this guide from the EFF about online privacy.